Late model cars and trucks are largely managed by sophisticated computer systems. In many cases, these computer systems are able to identify issues and offer technicians information on the cause behind those issues. By interfacing with your vehicle’s computer, a technician can gain insight into a problem and its potential causes quickly and effectively. How does the computer diagnostic process work? Your vehicle is managed by a Powertrain Control Module, or PCM. When the PCM notices that a system or component is operating outside of set standards, it stores a Diagnostic Trouble Code, or DTC, in its memory bank. In many cases, this process will trigger your “Check Engine” notification to light, alerting you to a potential issue. When you bring your vehicle to our shop, our technicians will connect a tool known as a code scanner to your vehicles PCM. The scanner will read any stored DTC codes and display them to the technician. The DTC code will give the technician an idea of the potential issues that need to be addressed, such as a faulty part or malfunctioning system. From there, the technician will conduct additional testing to confirm the issue and make the repair. What issues can be diagnosed this way? Once a potential issue has been addressed in a specific system, additional tests will be conducted to pinpoint the precise cause of the problem. From there, a repair strategy will be drafted and implemented as you see fit. Many people believe that the computer diagnostic process is costly and time consuming. This couldn’t be further from the truth. In fact, a general computer diagnoses can be made in just a few minutes and is often factored into the overall cost of a repair. 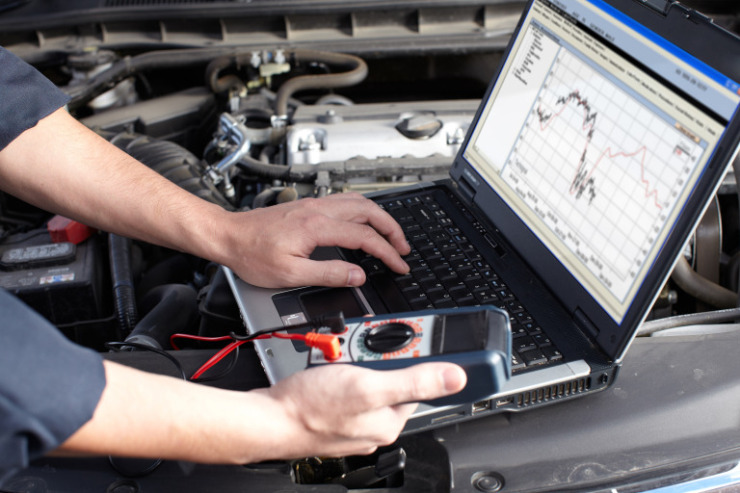 To learn more about computer diagnostics for auto repair, or to schedule a diagnostic service check, call us at 727-498-8521 or contact us online. We are conveniently located in Clearwater, just south of Ulmerton Road, at 12790 49th Street North. Hours are 8 a.m. to 6 p.m., Monday through Friday and 9 a.m. to 2 p.m. on Saturday. We look forward to seeing you!